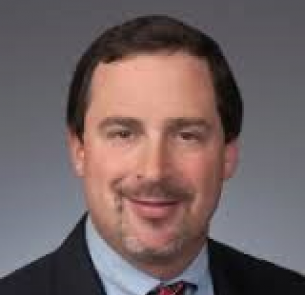 Jay Singer is group head, U.S. Commercial Products at MasterCard Worldwide. In this role, he leads the U.S. development and commercialization of the MasterCard innovative commercial products and solutions that serve small businesses, mid-to-large market organizations and public sector institutions. Mr. Singer joined MasterCard in 1997. He began his career as director of Marketing Consulting where he supported the acquisition, portfolio management and product development programs of our U.S. customers. In 2000, he moved to Hong Kong where he spent four years establishing the MasterCard Advisors business in Asia as a business development and consulting lead. In 2004, Mr. Singer joined the Citi Global Account team as account leader, for the U.S. Small Business and Diner’s Club portfolios. He was elevated to general manager, Global Strategy and Implementation, where he was responsible for strategy, business development and implementation for all Citi portfolios globally. Prior to joining MasterCard, Mr. Singer held several roles of increasing responsibility in the Consumer Cards Group at American Express. His experience included customer acquisition, portfolio management, new product development, co-branding and relationship management. He also held sales and account management positions at the consumer product company Keebler. Mr. Singer holds an M.B.A. from the Stern School of Business at New York University, and a B.S. in Marketing from the Pennsylvania State University.